Through Design and Technology, the children are encouraged to identify, examine and solve practical problems and to make existing situations better. 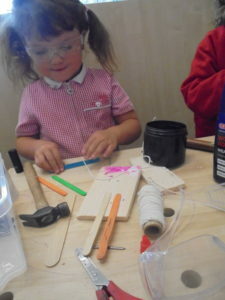 The children are encouraged to be inventive, using a range of materials and tools, thus developing, modifying and evaluating their ideas through a series of exciting projects. In the new curriculum, the focus is on children’s knowledge, understanding and skills progression throughout Key Stage One and Two. 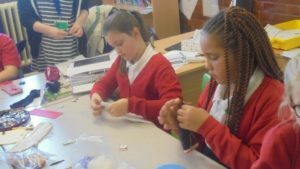 To ensure that the key skills are embedded throughout your child’s primary education at Fishergate, Design and Technology is taught and assessed creatively through topics and real life experiences. 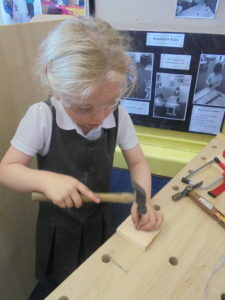 Children in Early Years engage with Design & Technology activities throughout the areas of provision. 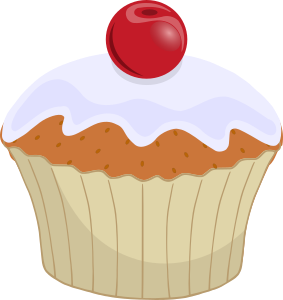 Children are encouraged to safely use and explore a variety of materials, tools and techniques. 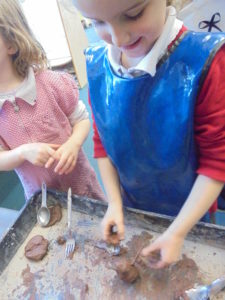 They are also encouraged to experiment with colour, texture, design and function. 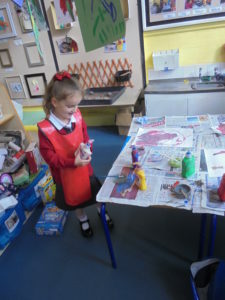 Some of the provision includes clay, playdough, woodwork, junk modelling and painting. 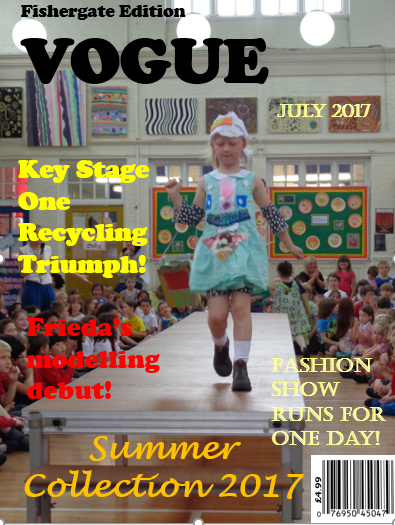 Children in Year 1 & 2 held a fashion show, wearing upcycled old clothes. They did a great job at cutting, shaping and joining old pieces of clothing which they wore for the fashion show. 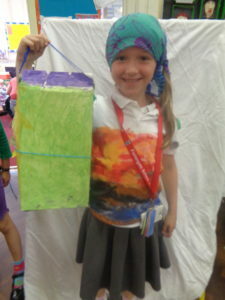 As you can see in the picture below, the children showcased their work as they walked down the catwalk. 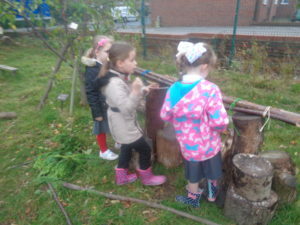 Children in Years 3 & 4 have been learning about DT through their trips to our forest school. 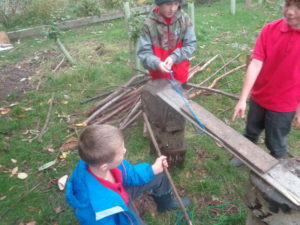 They designed bridges and made bug hotels out of things they could find in the forest. They did a great job experimenting with designing, building and reviewing different structures from various materials. 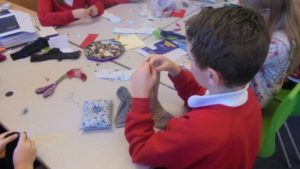 Year 5 & 6 made Harry Potter themed quilts, wands and puppets as part of their learning. 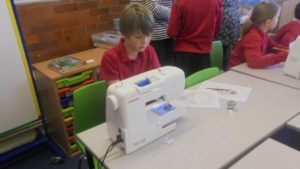 They experimented with both hand-sewing and using machines. 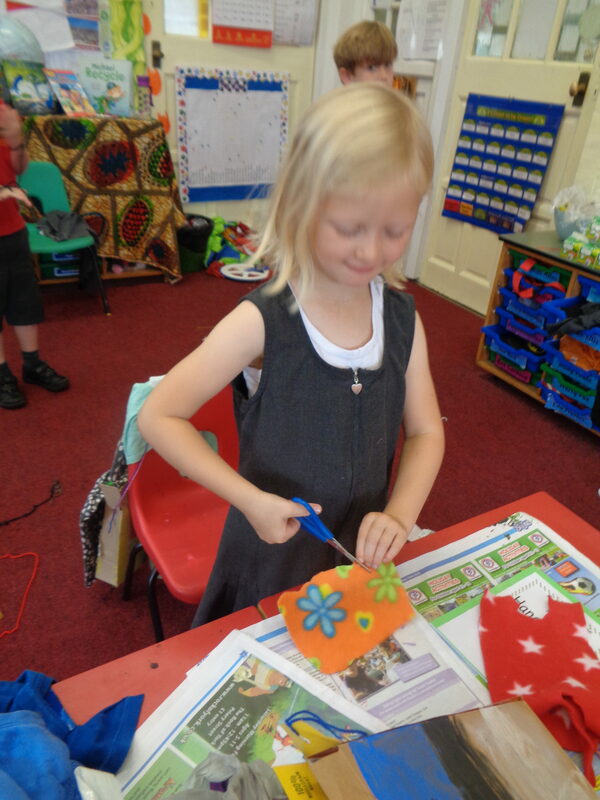 They were cutting and shaping various pieces of fabric and decorated them with various materials using glue guns and hand sewing them on.